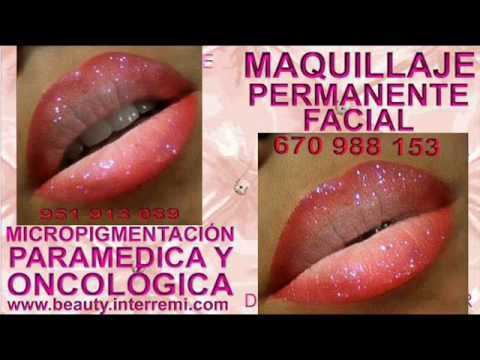 Welcome to the PERMANENT MAKEUP MARBELLA CLINIC BEAuty , the biggest permanent makeup center in Spain. When choosing Permanent Makeup Marbella Clinic BEA-uty , you can rest at ease. It is the most accurate and reliable of all the present methods of applying permanent makeup, and we are its forerunner as well as one of the few training centers on the Spanish market. We guarantee you great results and complete safety. Permanent makeup Marbella for eyes, lips and eyebrows will give you the perfect look at any given time of day or night. Permanent makeup is one of the most spectacular ways to improve beauty. However, in order to look impressively and naturally, it requires skilful hands, expertise and experience. Permanent makeup is a kind of treatment whose effects are sustained over time, therefore both method and safety of its performance are of utmost importance. Permanent makeup should be subtle and precise to emphasize the natural beauty without creating the impression of artificiality. Such effects can only be achieved with the right qualifications and the right equipment. You will find it all at the Permanent Makeup Clinic BEAuty . Go to our website. You can contact us by sending an e-mail to beauty@interremi.com or calling the following no. : 670988153. Permanent eyebrow makeup IN MARBELLA – the shape of you have dreamed about. The right shape of eyebrows can add a lot of charm to a face but perfect eyebrow shape and layout are a rarity. Eyebrows often grow irregularly and their constant regulation may sometimes cause a lot of trouble. Coloring eyebrows, on the other hand offers only short-term effects. In addition, superciliary arch tends to break where hair stops growing. In such cases, permanent eyebrow makeup is simply irreplaceable. First, eyebrows need to be outlined with a liner. Once the outline is agreed upon and the final shape is drawn, the skin pigment is introduced with the use of a speical razor for micropigmentation. Thanks to precise pigmentation allowed for by this internationally recognized method, we are able to obtain extremely natural effects lasting a long time. 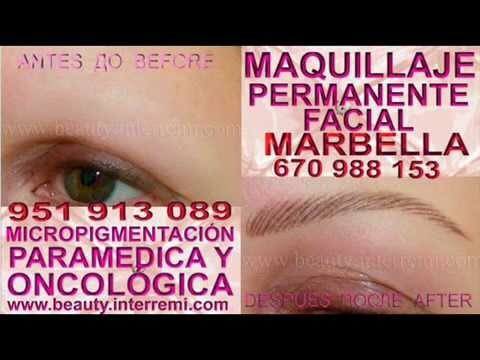 PERMANENT MAKEUP in MARBELLAenumerar y. en primer lugar. por lo tanto. otro. lejos más. finalmente. además. como resultado. por lo tanto. en consecuencia. POR LO TANTO. en conclusión. de comparación. contraste misma. menos. más bien. mientras que. sin embargo. frente a. por mucho que.